Glen Greedwald is no conservative. He is very liberal and is a vocal Democrat. But the issue of surveillance and Federal disinformation is an area where true liberals and conservatives agree. Disinformation is an enemy to democracy. In the comments I cite below, Greenwald underscores the fact that CIA opinions do NOT constitute truth. He couldn’t be more correct. Recall that Greenwald was the main newsperson who worked with Edward Snowden to break the story of NSA surveilling all Americans. No matter what you think of Snowden, as Shakespeare said, “The truth will out”. And indeed in the last 100 days, thanks to WikiLeaks, it outed the cheating inside the DNC, John Podesta, Hillary Clinton and the Clinton Foundation, and many others. We need to understand that one of the lingering after-effects of the Cold War is CIA dominance of the Mainstream Media. This was the essence of Project Mockingbird kicked off in the 1950s by Allen Dulles, the longest-standing director of the CIA (until fired by John Kennedy after the Bay of Pigs fiasco to take over Cuba). 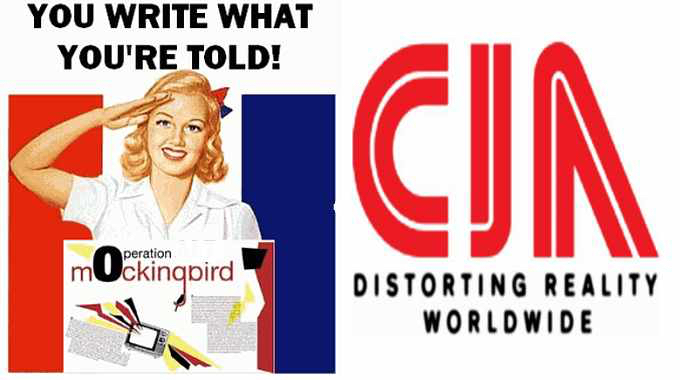 By the 1970s, the control of the media — to support a Pro-America-can-do-nothing-wrong and we-hate-communists — was the backbone of the CIA program to control the thinking of the American people. Understand, Dulles was one of the principals at the helm in the plot to assassinate Kennedy (in my view). This wasn’t because Kennedy was a communist. Kennedy and his brother Robert hated communists. In fact, it isn’t widely known that Robert Kennedy was an aid to Joe McCarthy (father of McCarthyism), and good friend, who quietly attended McCarthy’s funeral despite the attack of Edward R. Murrow, famous WWII war correspondent who preceded Walter Cronkite as the most trusted man in America. No, the reason the Kennedy’s were killed is that they understood the essence of the “military-industrial complex” and knew that, as John said, “Secrecy is repugnant to a free society”. The CIA didn’t want a free society. It wanted a controlled society. It has been an effective tool in the hands of the shadow government (aka the ‘Deep State’) ever since. I wrote about this in my book, Power Quest, Book Two: The Ascendancy of Antichrist in America. I will share that information after we look at what Greenwald said about the CIA claims that the Russians are responsible for the Trump victory. This was just posted yesterday 12-22-2016. Journalist Glenn Greenwald speaks to MSNBC’s Ari Melber about the alleged “election hacking” that took place. Now, here is a section of my chapter on the CIA’s influence on brainwashing America from Power Quest, Book Two. When we think ‘mind control’ we think brainwashing. And when we think brainwashing we think intelligence operations and the CIA. But the reality is that the most far-reaching form of changing minds accomplished by the CIA wasn’t anywhere near as painful as torture and brainwashing. The number one method how our opinions have been influenced by our government is through the media. In fact, our government used our tax dollars to reinforce the opinions they wanted us to have. The approach wasn’t that sophisticated—it involved plain-ol’-fashioned ‘buying them off’—as in paying publishers to print exactly want you want. Advertisers talk about ‘media buys’ by which they mean purchasing advertising. But politicians and corporations often didn’t wish to make their messages that obvious. They chose covert conduits to get their points across. The infraction may not be that they told us lies. It was the way they said it—without our consent. In other words, our government wasn’t bashful about using the most egregious form of media purchase. They didn’t buy air time for commercials—they bought journalists to color the news in hues of red, white, and blue. That was the not-so-subtle admission of the truth. But truth is not really the goal of the media. It is to establish ‘norms’ and ‘guidelines’ for acceptable beliefs and behaviors. Media seeks to keep us in line and rebel rousers in their place. How does it do this? Since World War II the media doesn’t simply ‘report the news’ that’s fit to print. Choices must be made. Slant must be added. The ‘spin’ and selectivity of which stories are ‘reported’ are the essential tools those at the helm of media weld to create public opinion. One of the most refreshing aspects of John Stewart’s satirical Daily Show (which was one of my guilty pleasures, an oddity for a conservative like me) is that the news reported is ‘made up’. Readers may be disappointed (as I am) that Stewart stoops to trash talking most conservatives (and using a lot of crude language in the process) but at least Stewart reminds us he makes up his version of ‘the truth’. He readily admits his show specializes in ‘fake news’. Nevertheless, as all good satire accomplishes, his program illustrates that much of the time, truth is better conveyed through humor and exaggeration. In subtle contrast, cable news networks and the mainline media spin the truth and sometimes even intentionally ‘omit’ the truth; they just don’t ‘advertise’ the fact they do so. Consider the three leading cable news networks: FOX News which is far right, MSNBC which is far left, and CNN which is somewhere in between. Characteristic of all these networks is the ‘homogenization’ of ‘fact’ and ‘opinion’. It is extremely difficult at times, unless the commentator is outrageous (which most commentators are on the ‘extreme networks’) to grasp which is which. No doubt the excesses are more entertaining. Plus, the general public wants something other than ‘being informed’—we actually want someone to reinforce the way we think with arguments that strengthen our already-settled point of view. When it comes to learning the truth, we best recognize we are our own worst enemies. 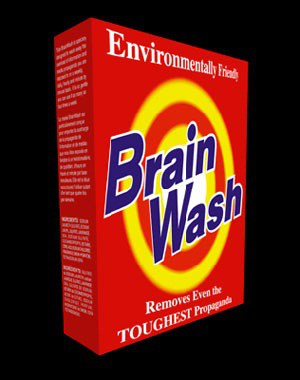 But coming back to the main point, most brains aren’t washed; they’re just wiped off with a washcloth in the form of magazines, newspapers, and especially today, television. If “politics is war by other means” (Carl von Clausewitz from the classic, On War), media is brainwashing by other means. And lest we think this is a recent occurrence brought about by the ’24-hour news cycle’, we should realize this new approach to journalism dawned early in the post-World War II era. The tough journalism that characterized America’s media before the war would soon be destroyed as elites in business and government grew more powerful and wouldn’t take ‘truth telling’ sitting down. ‘News’ would lose out to ‘views’—specifically, views the elites and media owners desired we have. Alex Constantine quotes George Seldes in his survey of corporate power 1000 Americans, published in 1947 (that watershed year for America’s national security state). He stated that while ‘muckraking’ journalism (better known today as investigative journalism) enjoyed sympathizers throughout the public, as the probes into propriety spared no one including the very rich and powerful, politicians and other spokespersons for “money, business and profiteering turned savagely upon the really free press and destroyed it… Trash may indeed be the opium of the people, but it was not the real aim of the magazines to stupefy the public, merely to suppress the facts… to create a wasteland.”[ii] [Emphasis in original] Alex Constantine relates the following facts about the CIA’s investment in selective truth-sharing with the public through their infamous project named (with a flair for the poetic), Operation MOCKINGBIRD. What is the connection between mind-control and the media? 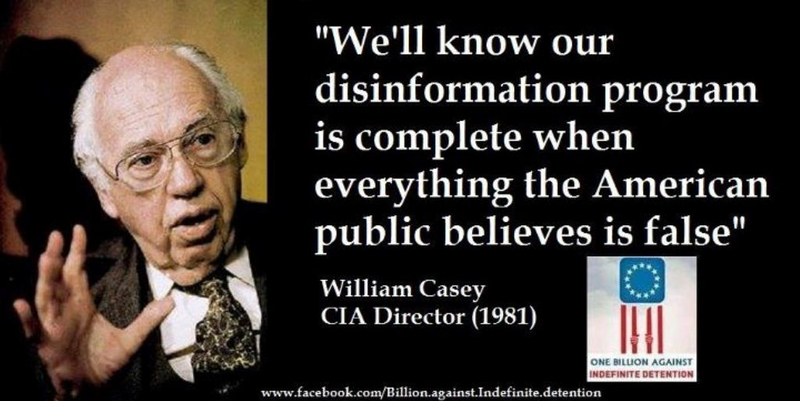 In other words, the man who made up the term ‘brainwashing’ was paid by the CIA to bring out the ‘news’ of supposed communist mind control, to help justify the CIA program already underway. This approach of ‘making up the news’ to support government policy, particularly those aspects better kept under wraps, would become a standard operating procedure of our intelligence service. The impact of this operation cannot be overestimated. America’s news networks would never be the same. Arguably, the primary centers of media are now far fewer in number. In the last 20 years, 50 ‘owners’ of media have been condensed to five. [iv] Thus, less and less stakeholders shape the world we live in. News consists mostly in entertainment not truth. [v] An independent press, once a pillar in America’s concept of republicanism, seldom does its most vital job anymore. In the 1950s through 1970s, it was clear the CIA wasn’t only dabbling in foisting military juntas and assassinating freely elected presidents (including one of our own), it had an appetite to capture the ‘free press’ and revamp its raison d’être. The Cold War would be won or lost based upon waging psychological warfare. 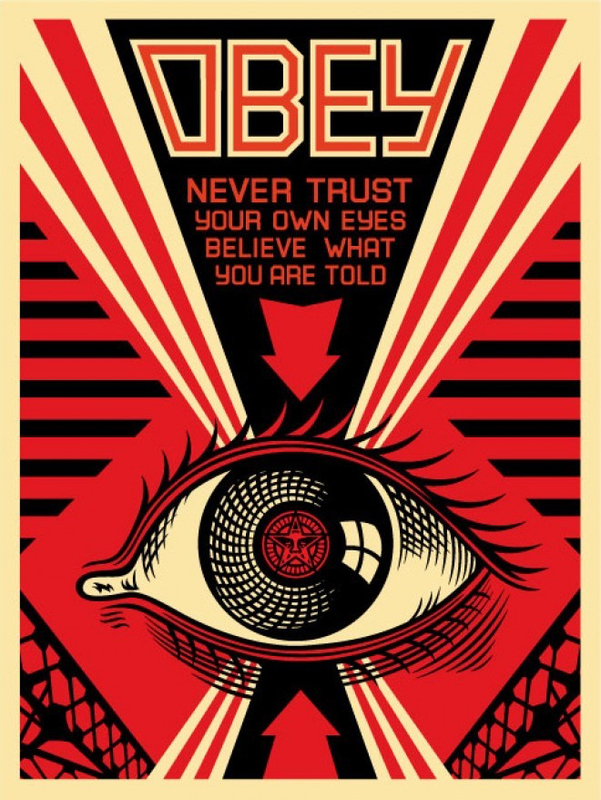 National Socialism had Joseph Goebbels’s Ministry of Public Enlightenment and Propaganda. But back here in the States as World War II ended, the CIA took it upon itself to be America’s counterpart source of all truth. In Germany, the CIA financed a mega-media conglomerate owned by Herr Axel Springer to the tune of $7MM. He was eventually described as a man more powerful than Hitler. While originally liberally minded, by 1968 his Springer Media Empire became especially conservative. At this propitious point in time, it was obviously part and parcel of the German establishment. As such, characteristic of the era, a throng of German youth rioted and trashed its editorial offices in Hamburg, Berlin, and Munich. It would be another ten years before the CIA’s link to Springer was fully exposed. Again, it is not so much that the CIA disinformed the American public (to be grammatically correct, misinformed, but Constantine is word playing on ‘disinformation’). As such, he overstates his case. Much of the time, ‘disinformers’ were just being selective in what they said to serve the purpose of ‘reinforcing’ American values, especially the anti-communist agenda (that for the most part, the public applauded). Still, it was the mere fact our government chose to ‘control our minds’—to help us think the way that our leaders wanted us to think—that is objectionable. As the epigraph jokingly asserts at the front of this article [that if the Army wanted soldiers to have an opinion it would have issued them one], the government wasn’t offering its opinion—it was forcing its opinion upon us, without asking for critical thinking, let alone consent on our parts. From that point forward, our leaders have assumed U.S. citizens were no longer capable of thinking for themselves. It was better to script the truth for us. But is this really a function we want our government to perform on our behalf? Should this be the way a true democracy behaves? Can we roll the clock back to the way it was before mass media became the tool of the well-heeled who seek to dominate the ‘herd’? The CIA’s out-of-control culture was tamed to some extent in the 1970s by the Senate’s [Frank] Church Committee and the House Select Committee of Intelligence, Otis Pike, Chair. A July 2009 article in the Washington Independent by Spencer Ackerman summarized the importance of these congressional committees with this description. No, FAKE NEWS isn’t new. But it’s high time we understand, accept, and do something about who is doing the FAKE OUT. 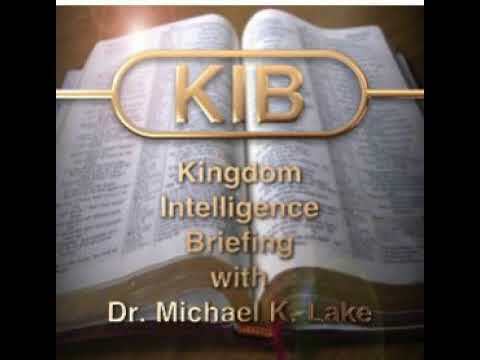 Read more about how the spirit of Antichrist captured America and transformed it into Mystery Babylon’s ultimate incarnation. Power Quest, Book Two: The Ascendancy of Antichrist in America. Additionally, I encourage you to sign up at my website to continue receiving this blog. It is not assured that I will be able to keep promoting my writing through Facebook. For I am considered a purveyor of fake news. A REVIEW ON POWER QUEST, BOOK TWO, FROM AMAZON. This book was a powerful book that told truths that many will not venture to put forth. Woodward is a courageous man who has done his homework well. People need to open their minds and quit listening to the same old propaganda tactics used by the Nazis and many before that. The media is 100% owned by the criminals. Our country is run by a bunch of criminals with their quest for a New World Order; however, their tentacles are global in reach. Why are the Bushs’ Harriman’s and Rockefellers (to only mention a few) not in prison for their help of the Nazi war effort even before Hitler’s rise to power? There was plenty of evidence supporting their role. Woodward exposes these criminals for who and what they are. Why aren’t the people that sponsored Operation Paperclip and the “ratlines” in prison? These people are evil to the core and God will have his way with them. We’ll see how well the “illuminated one” fares soon enough along with his followers. My belief is there will be quite a few “burning bushes” before long! 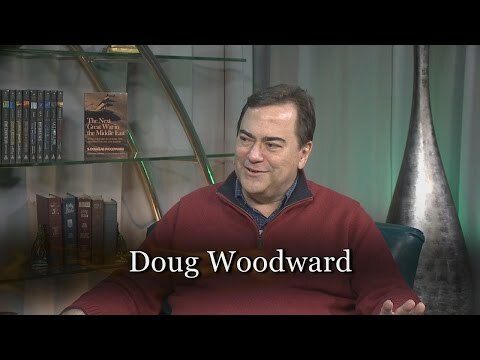 Woodward talks about MK Ultra/mind-control in the book as well. The CIA has been running drugs and using mind-controlled victims for half a century. Newsflash!! All these school shootings and attempted assassinations are mostly carried out by the mind-controlled victims. Do your own research. Have you looked at some of their mug shots? These victims of mind-control almost always have ties with military intelligence or the CIA! Don’t believe it, read Trance-Formation of America, Access Denied for Reasons of National Security, and/or The Franklin Cover-up. They want our guns people so that their mass-genocide will be easier. Woodward had a chapter on eugenics and those behind it. They want about 80% of us “eaters” gone. Any country that has been disarmed has regretted it. Check out Australia, Canada, and the UK for starters. The JFK assassination was brought up and of course, these same people just keep popping up. GHW Bush was in the CIA (even though he lied about it) when JFK was killed. JFK was the last president to even try to deal with the filth and they killed him with assassins (that would be plural). Then you have Mr. West, a psychiatrist that just so happens to have evaluated Oswald, Sir Han, McVeigh, and others. Hmmm. There is your mind-control at work with tax dollars, or was it “black ops” drug and/or gun-running? The secret societies (Illuminati, Freemason, etc.) are elaborated on and some of the vital history that needs to be understood to get to understand the evil intent of these people with their quest for “The Plan.” All I can say and I am sure the author agrees, is that Jesus Christ’s plan is a whole lot better, and we know how it ends! 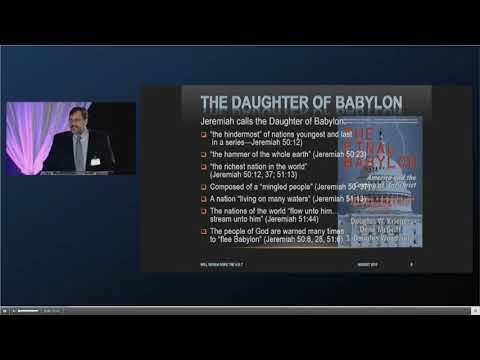 At the end of the book, Woodward starts talking about Babylon and the anti-Christ which just so happened to lead into a great book called The Final Babylon which is a great read as well. Great work to Mr. Woodward. [i] From Walter Lippmann, Public Opinion, 1922, cited in the Vision Report, May 2012, p. 5. [ii] Alex Constantine, Virtual Government, op. cit., p. 38. [iii] Constantine, op. cit., p. 37. [iv] Walt Disney, Vivendi, Sony, AOL/Time Warner, and Viacom. [v] Essentially, this was the point of the 2005 movie about Edward R. Murrow, Good Night and Good Luck, Murrow was the much acclaimed reporter and commentator dominating the 1950s after becoming the voice of authoritative information for Americans during World War II. Murrow successfully took on Joseph McCartney, the “junior senator of Wisconsin”, and his communist scare tactics incriminating the entertainment industry during that period. McCarthy might have had a proper battle to wage: the increased ‘liberalization’ of American social institutions. Unfortunately, he lied about many facts in building his case. His rancor destroyed careers. But since he was the ‘bearer of false witness’ he ultimately diminished the concerns of conservatives and subsequently made conservative views in the 1960s unpopular. The election of Kennedy and Johnson was partly due to the strong sentiment against ‘anti-communist tactics of hate’ and no doubt tainted Richard Nixon and Barry Goldwater and their ‘extreme’ right-wing positions, whether justly or not. [vi] Constantine, op. cit., pp. 36-37. [ix]See http://washingtonindependent.com/52637/holt-calls-for-next-church-committee-on-cia. Cheney, already seen by many as America’s Darth Vader, plays his part yet again by making this comment. [x] Constantine, op. cit., p. 57. 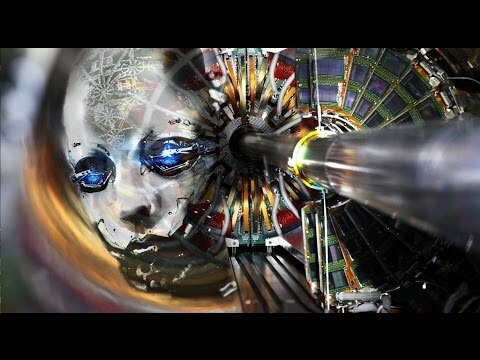 Previous PostWhy 2016’s 12 Days of Christmas Might Be the Most Dangerous Days We Will Face in the Life of Our NationNext PostTHE DANGERS OF CERN: ARE THEY FOR REAL?